The 4-H Floriculture curriculum series is full of hands-on activities that focus on growing and using flowers and plants. 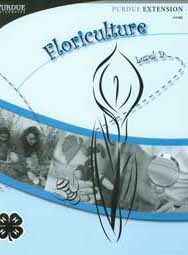 Each manual includes five major categories: planning, growing and caring for plants, exploring science, floral design, and career exploration. This Level D manual is designed for youth in grades 10-12.